(Source: The Guardian News) As Ramadan begins, more than 100 hunger-strikers in Guantánamo Bay continue their protest. More than 40 of them are being force-fed. A leaked document sets out the military instructions, or standard operating procedure, for force-feeding detainees. 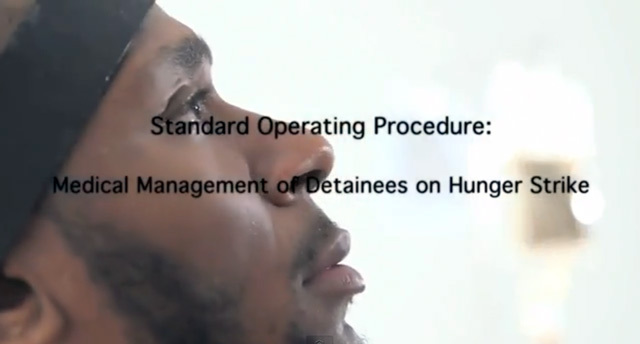 In this four-minute film made by Human Rights organisation Reprieve and Bafta award-winning director Asif Kapadia, US actor and rapper Yasiin Bey (formerly known as Mos Def), experiences the procedure.